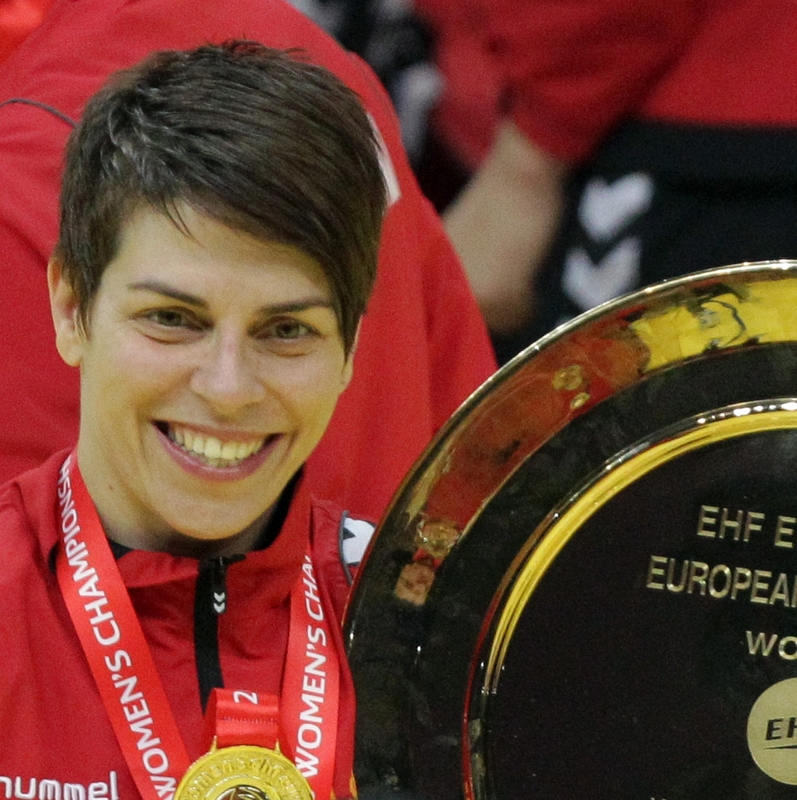 Almost ten months after the historical success in December, where they crowned themselves EHF EURO champions in Serbia, Montenegro’s women's national team is preparing to start qualification for the 2014 edition in Hungary and Croatia. The team of coach Dragan Adzic will start qualification with almost the same team that won the first title in Montenegrin handball history. Adzic announed a list of 17 players and four reserves for first two games in Group 3 with Poland and Portugal. The major news is that experienced line player Ana Djokic is back on the list, even though she had announced that she would end her playing career at the end of last season. However, she accepted a great offer from Vardar and decided to postpone her decision and to play one more year. "As long she plays handball, Ana will be part of Montenegro’s national team,“ Dragan Adzic said. “I’m glad that I will continue to play in the national team, with which I have achieved a lot of success. “I'm glad that coach Adzic count still on me. I think I can help the team. When I signed for Vardar, most of the players from the national team immediately called me to ask me if I will continue to play for Montenegro. “It shows the commitment of the team for me, and is an additional motive. Also, the first two 2014 EHF EURO qualification matches will be a great preparation for the upcoming World Championships in Serbia, the only competition where I didn't get a medal so far,” 34-year-old Djokic told eurohandball.com. From the victorious team in Serbia, Buducnost’s young line player Suzana Lazovic will miss out, due to health problems as will left back Sandra Nikcevic, who is on the reserve list. After being part of the new look Montenegrian team at this summer’s Mediterranean Games in Mersin, a new name for qualification is talented 17-year-old Djurdjina Malovic. She was one of the outstanding players at the Women's 17 EHF EURO in Poland, where Montenegro finished fifth and she was in the All-Star team at right back. "I am thrilled that I have been selected for the senior team. But, I know that I have to learn and work hard to become one of the best,“ said Malovic. Montenegro will gather on 21 October in Podgorica, and two days later will play against Poland in Moraca hall. On 27 October, Montenegro will play in Coimbra against Portugal, and those will be the only matches for Montenegro in this year. Beside Poland and Portugal, Czech Republic is also a rival of Montenegro in qualifying Group 3.